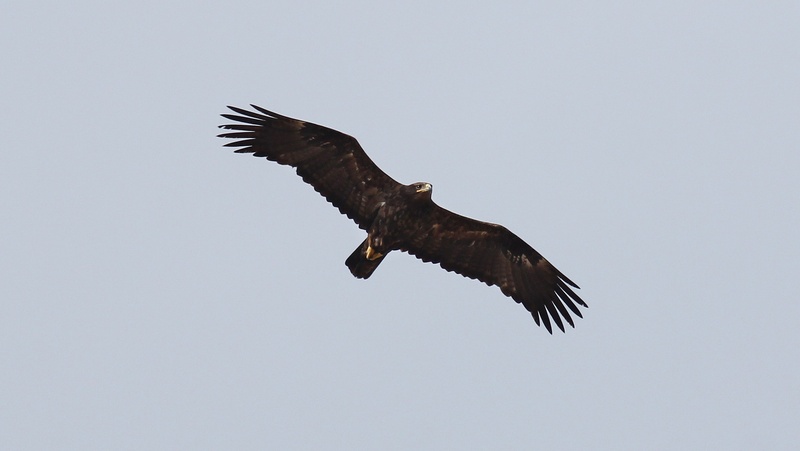 The Steppe Eagle (Aquila nipalensis) is listed as an Endangered on the global Red List. Recent studies indicate that Turkey hosts a larger breeding population of the Steppe Eagle than thought previously. At least 10 pairs, and perhaps up to 50 pairs breed in steppes of Central Anatolia. The Hodulbaba Mountain and Tuz Lake IBAs are the best-known breeding sites of species in Turkey, while additional pairs breed in the basin of Seyfe Lake. Limited studies showed that main threats towards the species are the transformation of breeding habitats from steppes to agricultural sites. Doga is working with MME BirdLife Hungary to determine the current status, threats and conservation opportunities in the breeding sites of the species, with the cooperation of OSME and the Authority of Special Protected Areas of Turkey. Doga also aims to increase awareness of people living near breeding habitats and supports local conservation groups providing essential support towards implementation of the conservation action plan of the species.